(P1) Kia Motors, South Korea’s second-largest automaker, posted record sales in Latin America this year, whose growth surpassed that of the Middle East and Eastern Europe, which are grappling with the economic slowdown, its report showed Tuesday. (P2) A total of 57,495 Kia cars were sold in Central and South American countries in the first four months of this year, surging 27.8 percent from a year ago, its investor relations report said. (P3) Its average monthly sales in the region first passed 10,000 in 2010, and rose to 14,374 this year, the firm said.Kia has fast expanded its presence in Mexico since entering the market in July 2015. It ranked 11th in the first month and has broken sales records every month to become the No. 8 auto brand in Mexico. 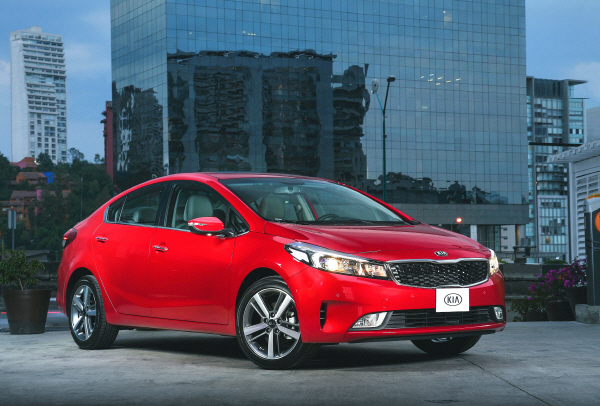 (P4) Kia has fast expanded its presence in Mexico since entering the market in July 2015. It ranked 11th in the first month and has broken sales records every month to become the No. 8 auto brand in Mexico. (P5) The robust performance is in stark contrast with the Middle East and Eastern Europe where sales dips have been seen in the wake of the economic slowdown stemming from low oil prices. (P6) Sales in the Middle East tumbled 24.2 percent on-year to 49,436 units in the January-April period, and those in Eastern Europe also fell 10.9 percent to 28,813 during the period, the smaller affiliate of Hyundai Motor Co. said. (P7) The Korean firm expected a new factory in Mexico that began production earlier this month will further boost sales in the region. (P8) “About 40 percent of 10,000 K3 sedans to be produced at the Mexican factory will be sold in Latin America, which will further boost sales in the region,” a company official said. Which automaker sales the most cars in your country? Why do you think so? Would you buy a Kia automobile? Why or why not? Do you prefer to buy an old or new car? Why? How many cars did Kia sell in Latin America between January and April of 2016? Which to areas of the world did Kia see a decrease in sales? What percent of the Kia K3 sedans will be produced in the new Mexican manufacturing facility?